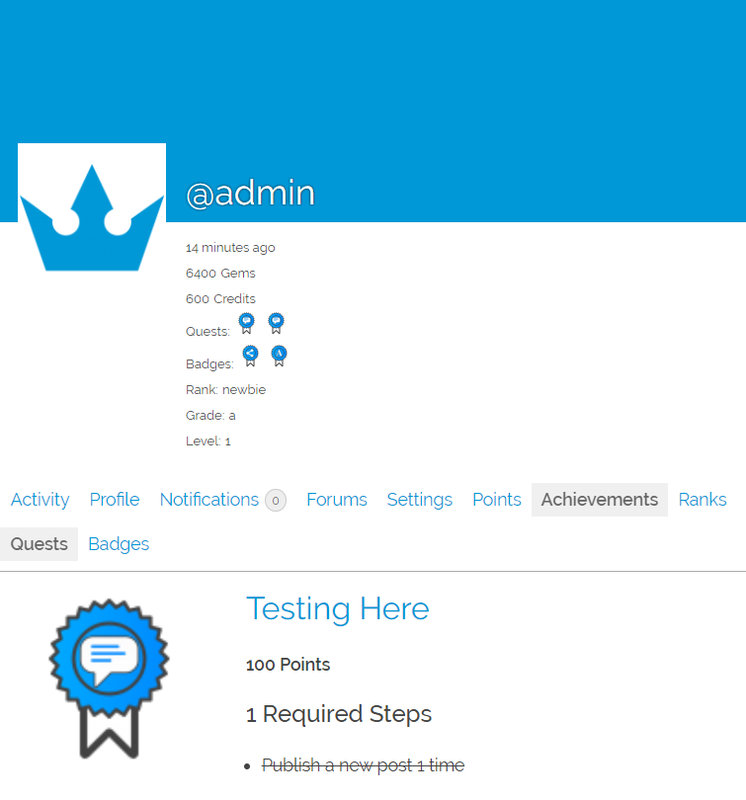 Add gamification to your BuddyPress community to engage and motivate your members! This plugin automatically connects GamiPress with BuddyPress adding new activity events and features. Account activation When an user account get activated. Profile updates When an user changes their profile information (avatar, cover image and/or just the profile information). Send friendship request When an user request to another to become friends. Accept friendship requests When an user accepts the friendship request from another one. Send/Reply private messages When an user sends or replies to private messages. Activity stream messages When an user publish new activity stream messages. Reply activity stream messages When an user replies to an activity stream message. Favorite activity stream messages When an user favorites an activity stream message. Get a favorite on an activity stream item When an user gets a new favorite on an activity stream message. Group activity stream messages When a group publish new activity stream messages. Create a group When an user creates a new group. Join a group When an user joins a group. Join a specific group When an user joins a specific group. Get accepted on a private group When an user gets accepted on a private group. Get accepted on a specific private group When an user gets accepted on a specific private group. Group invitations When an user invites someone to join a group. Group promotions When an user get promoted or promotes another one as group moderator/administrator. Drag and drop settings to select which points types, achievement types and/or rank types should be displayed on user frontend profiles and in what order. Setting to select which elements should be displayed in activity streams. How can I manage the tabs displayed on user profiles? You will find all the settings to manage the tabs displayed by navigating to GamiPress -> Settings -> Add-ons -> BuddyPress Settings. How can I display user earnings on BuddyPress activity feed? On each type edit screen (points type, achievement type and rank type) you will find setting to manage which elements display on BuddyPress activity feed.